I’m not sure how long this post will be, but I’ll just start writing about the whole experience. My apologies in advance if it turns into a bit of a rant, but case it does, let me give you the conclusion up front. 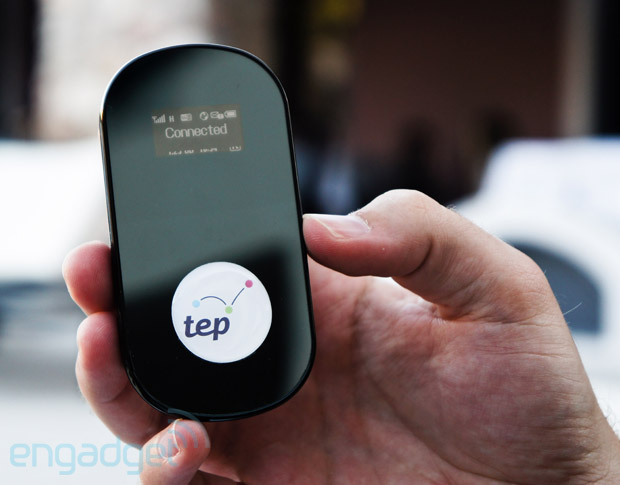 DO NOT RENT A WIRELESS HOTSPOT FROM TEP WIRELESS! With that out of the way, let’s continue. My wife and I were going to Mexico for a week, spending time with her side of the family at a timeshare on the Mayan Riviera for a full week. We’re both a bit nerdy, and we both need to be always connected to the internet. Rather than paying an exorbitant amount of money for a weekly connection at the resort, which would likely only work for a single device, we decided to try out a wireless hotspot. My instinct was to go with XCOM Global, as I had a great experience using my coworker’s XCOM Global device while I was in Sao Paulo in July last year. However, I read a couple reviews about a new company, TEP Wireless, and I decided to give them a go. The way these things work is quite simple. You pay a fee up front. Then a company sends you a wireless hotspot, something like a MiFi, and depending on how much you paid up front, that device will give you internet access in a variety of countries for a specific span of time. For us, we pre-paid for unlimited usage in Mexico for approximately one week. At the end of the term, you send the device back, and you go on your merry way. The benefit is that you can connect up to five devices to one of the wireless hotspots, and you completely avoid ever having to pay for international data either at a hotel or roaming with your phone. We were set to leave for Mexico on a Sunday, and as expected, the TEP Wireless device arrived at our door the Friday beforehand. The device comes in a nice carrying case, and everything you need is inside the case. The first thing I noticed was that the device wasn’t the same device I was expecting. One of the reasons I went with TEP Wireless over some of their competitors is that they, theoretically, offer a more modern device. Let’s take a look at the review by Engadget. The image is pasted below for comparison. Take a look at the power adaptor they sent me… do those plugs look like they will fit into a USA electrical socket? How about a Mexican electrical socket? Mexico and USA use the same 120V plug sizes. So not only did they not send me the device I was expecting, but now I had no way to plug it into a wall. Are you kidding me? I still figured to myself, “Okay fine… as long as the wireless service works, it doesn’t matter. I can charge it via USB from my laptop.” I packed up the device, and I looked forward to using it in Mexico. Fast forward a couple days. We land in Mexico. I power on the device, and all the LEDs slowly light up. I connected to the Wi-Fi hotspot it created, but I wan’t getting any sort of internet connection. I got frustrated, and I turned it off. I took a picture of what the device looked like, and I sent the picture and a note to TEP Wireless. For frame of reference, this note was sent on 3:52PM on 12/23/2012. the wireless network, but I get no Internet access when connected. Please advise. Thanks! This is urgent!!!! I was confused. From the LEDs on the device, it appeared to be working just fine. I immediately received back the automatically generated e-mail from their support e-mail alias, saying that they would respond as soon as possible. Heck. I’ll just paste it below. By the end of this tale, I had received it so many darn times it’s worth putting it here. Thank you for contacting us. We have received your request and are working on responding to you as soon as possible. If you have any additional information to add to this case, please reply to this email. In the meantime you might find one of the following options helpful. I tried to investigate the issue on my own. I checked the IP address that I was assigned by the wireless device, and I determined that the router page was likely at 192.168.0.1. I navigated to that page on my phone, and sure enough, I got the router homepage. Here is a screenshot of what that looks like. Wow – I can’t believe how bad your support is. I still have never heard back! I expect a full refund as well as a pre-paid shipping label to get this back to you! Please note that we have escalted this issue to the Mexican network provider and am awaiting there response we shall update you as soon as we have feedback from them. It has been approximately 48 hours since you said you have escalated the issue. I heard no response. This support is awful. Please issue me a full refund. I have never been able to use this device, as I’m sure you’ll be able to see from the usage. Furthermore, I live in the USA, and I am traveling in Mexico. Why would TEP Wireless send me a European power adaptor? On top of that, the manual included with the device is not for the same device that I was given. Please let me know when my refund will be issued. Did Hank respond right away? No he didn’t… He must have been busy. I left them more voicemails, and I even sent them a few skype messages, as seen below. I was getting really annoyed. By the time I had sent these messages, I wasn’t even in Mexico anymore. I just wanted my darn pre-paid label to ship them the unit back, and I wanted my refund. I went on their website, and the little chat box in the bottom right popped open. Surprisingly, it said they were there and available. I started chatting with the person, asking if they could check on the status of my refund. We do apoligise for the inconvenience caused by the connection and service issues that you faced whilst in Mexico, and the failure to provide you with the correct country power adapter,we do regret the bad experience you have encountered and have handed your case over to the accounts and refund department to follow up with you. I have also asked for the USA pre paid return label to be sent to you and the returns department shall issue you with that via email as soon as is possible. I didn’t get a pre-paid label later that day, if that’s what you think happened. Instead, i wrote an e-mail to Dennis. Here is the full text of that e-mail. I am writing to ask you to issue a refund of my TEP Wireless order. I was given your e-mail address by Jacob, who works in support. I understand that you’re a manager at TEP. I hope this e-mail helps you focus on some of the problems of the company, specifically around quality control and support. 1) When I ordered my TEP Wireless unit, I didn’t receive an order confirmation. I had to e-mail support, and then they sent me my order confirmation. 2) I received my TEP Wireless unit on time, but when I opened it up, I was surprised to find that the device included did not match the device in the manual. Specifically, there were more LED indicators on the device in the manual than there were on my actual device. Furthermore, I was given a UK power adaptor. Why would I have been given a UK power adaptor when I am an American, traveling in Mexico? 3) When I arrived in Mexico, I powered on the TEP Wireless device, and I was able to connect to it with my phone. However, I got no internet service. I called the phone number on the TEP Wireless site many times, and I e-mailed support, but I never heard back. 5) I e-mailed the support department of TEP Wireless screenshots of my findings, but I still heard nothing back in response. 6) Finally, after a few days, I heard back from Hank in support. Hank told me that my issue had been escalated to a Mexican network provider, and that I would hear back. I NEVER heard back. 7) I eventually gave up, and I purchased internet access at the hotel I was staying at in Mexico. 8) I sent support many e-mails, I left skype voicemails, and I left voicemails with the support phone number. I heard nothing back, until I was able to use the online chat on the website. Here, Jacob answered me, and he gave me your e-mail address and told me he would look into my issue. 9) Now that I’m ready to send my unit back, there is no address anywhere for me to send it back to. Dennis, this has been a failure of TEP Wireless on many fronts. First, I was not sent what I was expected (the wrong wireless unit + incorrect power adaptor). Second, the adaptor never worked. Third, when I encountered issues, the support staff at TEP did not respond promptly at all. Please promptly issue my refund. I look forward to your response. Just a quick note to let you know I’ve received your email, and will be following up once I’ve completed an internal investigation of this situation. Clearly there has been a failure on many fronts, begging the need for proper scrutiny. I appreciate your patience, and wish you a pleasant evening. It was nice to hear from Dennis, but I never heard back from him after that e-mail. I’ve sent both he and his support team e-mails over the past week or so, and I haven’t gotten anything. Yesterday, on January 8, 2013, I finally received my pre-paid return label. Great. They can get their equipment back. As for my refund, I still haven’t heard anything. I’ll likely have to take this up as a dispute with my credit card company, and I’m not sure how that will go. I could keep the equipment, and I could tell TEP I won’t send it back until they give me my refund, but I don’t see the point in that. It’s not mine. They didn’t send me the same device that all of the reviewers got. They sent me the wrong power adaptor. Their support is probably the worst I have ever used. Their co-founder is flaky with his e-mail responses as well. If they mess up, they won’t admit it and issue a full refund. If you search the internet for a review of TEP Wireless, you’ll read nothing but god things. Check out the review from Engadget and the review from PCMag.com. I’m sure TEP made extra sure that the press had a great experience, as they should, but know that you won’t get the same experience as a regular customer. Even if you do get a working device, if you ever need to use their support, GOOD LUCK! All in all, this experience with TEP Wireless was completely awful. I’ll never use the company again, and I’m still working hard to get my money back. Thanks for keeping up your experience of using TEP wireless. I've never used it before but I'm being using Teletalk hotspots to use wireless internet mobile ways. It's a very effective technology and you should try it for better wireless internet using experience. I’m having a horrible experience as well. I was supposed to receive my device on May 17 for a May 19 departure and it never arrived. Near impossible to get any help from customer support. It was supposed to be re delivered to my first stop in the UK but it still has not arrived. If it does not show up tomorrow, I will have no way of getting it as I will not be staying in managed hotels for the rest of the trip. I had a similar HORRIBLE experience in London. At least you had better luck with their customer service than I did … haven't been able to get anyone to respond to the online chats, even though I get connected. Haven't had any responses to my 19 emails. Haven't had any returned calls after 7+ messages. Yes, TEP is the worst. We rented for three weeks for a trip to France. It worked very slowly for two days and then, not at all. TEP admitted this, but would do nothing except to send messages saying to use McDonald's or Starbucks. Almost $200 down they drain. They did offer 25% off another rental. Yeah, sure. This is definitely a topic that's close to me so Im happy that you wrote about it. I'm also happy that you did the subject some justice. Not only do you know a great deal about it, you know how to present in a way that people will want to read more. Great work. Just received an email from TEP saying that they have been undergoing a managerial change and apologize for the delay of my refund (4 months). They say that they no longer have my credit card on file and that I need to give them my bank info (account number/ routing/ etc) and that they will wire me the refund. I've never given my bank info out like that. Is this legitimate? Even if legitimate, my whole experience has been awful and TEP still blows. I hired a unit from TEP which ceased functioning only a day and a half into the hire period. Then I wasted much time and cost contacting the TEP Customer contempt service using my mobile.the result was nil.On my return the unit was immediately returned to TEP, by Royal Mail signed service. TEP however a mere fourteen days later emailed in an aggressive manner accusing me of failing to return their unit. I then emailed repeatedly , with the RM receipt. Finally , I have been reimbursed by TEP? My conclusion, is that if you need portable wifi in France , then wait until you are in France , then buy a portable unit from any mobile phone shop. This is why is use xcomglobal- they are much more professional and reliable. They are even starting to ship internationally to my friends in Australia- he met me in Mexico for a fishing trip, and had the XCom MiFi. It worked fine, and we all 4 were able to use it- never hit any data limit, no problems. Sounds like XCom has their act together. Yep, just had an experience where the rental didn't arrive by the stated date and I had to call them. No emails, calls or anything. They couldn't even guarantee it would be at the hotel when I arrived next week. I told them to cancel my order. I will keep you up to date on if they issue a credit or not. OMG were do you start with these guys! I was sold me a services by Katie which they could not provide and actually cost me more money due to phone call from my mobile to try and sort out. I was lied to by both Mathew and Scott (some kind of manager) through emails and phone calls continually. I have so far only had a partial refund and still awaiting the rest, but only after I told Tep that's I had spoken to Barcleycard who I used to book the services with. Stay well clear of this company, they have no morals and I would never use them again! My advise to anyone who is in a similar situation after using Tep is if you hopefully used a credit card is to contact them for help! Another one who suffered TEP, in my case just recently in UK:FIrst the package wasn't ready for pick-up at Heathrow as ordered; instead I was handed one for someone else's. On the day the someone's contract ended, the connection was cut up and they took full morning to restore it. Then they doubly charged me. And almost expectedly the customer support is non-existent about that. I wish I saw your blog earlier. I ordered one to be picked up at Heathrow Airport but the device wasn't even there for me. I left them emails and voice messages but it took them a long time to respond. They first indicated that they can send me one to my hotel on the second day but none arrived. I really don't want to deal with it anymore on my holiday and asked for a refund. Now I have to wait and see how long it will take for them to respond if at all. What a hassle. Timely information as I was also looking around for any type of Wifi that would work properly. The last thing I need is to be messing around with this. If they ever fix their customer service, I will be back. In the meantime, I don’t know. Hello. I wish I had read this before, as similar things have happenned to me. Anyone reading these postings – they are all true. This company is a rip off, unreliable group of people. I wish I would of read this before I rented. However did not have that issue. I learned that the unlimited plan is not unlimited. I have 4 devices that are connected since I’ve been on vacation. With all the uploading and streaming 4 gigs of data used in 3 days, and with no notice my SIM card was deactivate. Once I called support, they tried to sell me more data to activate the card back, or they will issue a refund for that which won’t be used. The guy on the phone could not give a straight answer when asked why it was called unlimited! Horrible service would not recommend!! !